PlayerUnknown’s Battlegrounds engineers had to cancel this weekend’s timed deathmatch event, Desert Knights, when they found the mode was preventing players from connecting to PUBG at all. Check out our guide on how to win in PlayerUnknown’s Battlegrounds. The new spin on War Mode put players into ten five-member teams and started everyone off with a care package in a corner of the Miramar map. 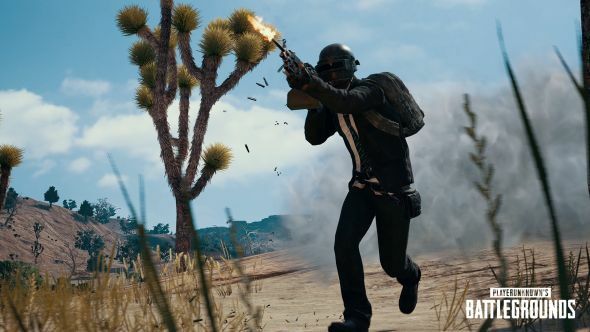 That sounded like fun, and it was supposed to run through this weekend, but unfortunately it wasn’t to be – PUBG players had less than 24 hours from the time Desert Knights launched to the time it was shut down due to connectivity issues. It’s a bummer, especially if you had been planning on jumping into the deathmatch frenzy this weekend. But it’s better to at least have the base game available to play than no PUBG at all. Hopefully BlueHole will run the mode again soon.